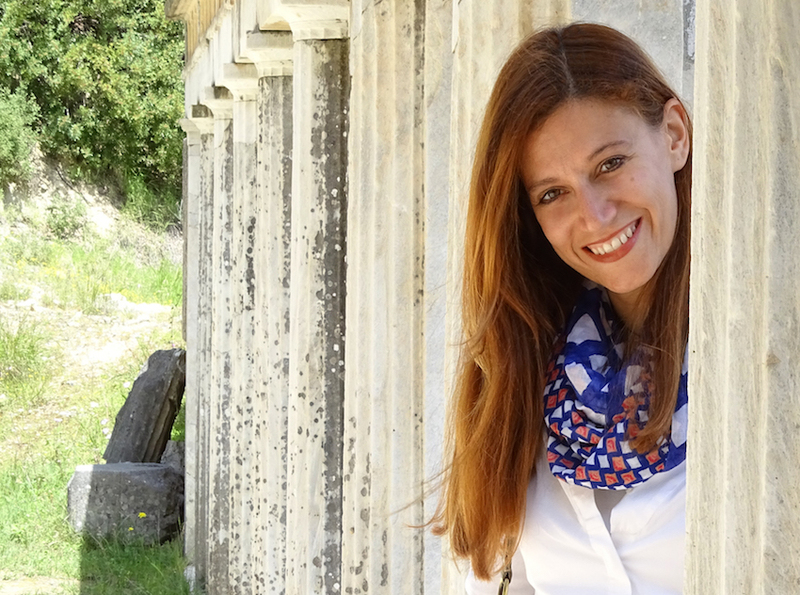 Nadia is a fanatical Athenian, born and raised in this ancient and stunning city. Living in a country with such a great cultural heritage, she was always attracted to history and the arts, and thus earned a B.A. in History and Archaeology, followed by a M.A. in History of Art from the National University of Athens. 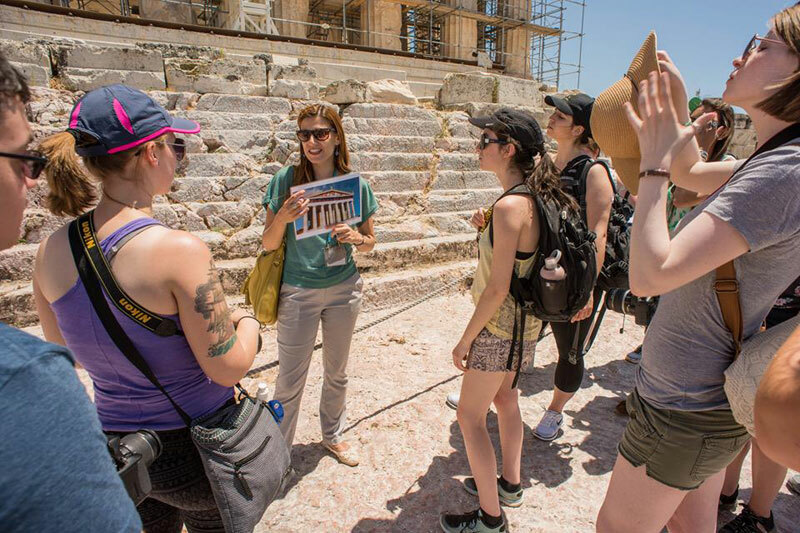 Later on, she got her official training and Certificate as a Tourist Guide (in English and Spanish) from the Aristotle University of Thessalonica. 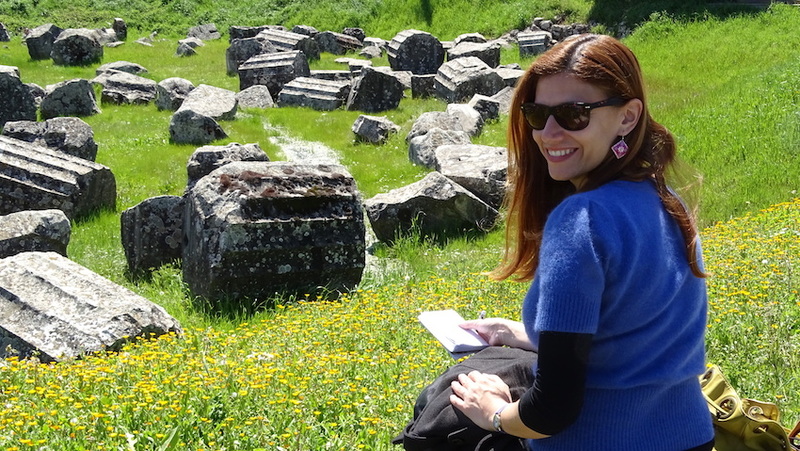 She collaborates with some of the best travel agencies in Athens and with Greek-American Colleges; additionally, working as a freelancer, Nadia organizes private tours, adjusted to your interests and desires, as well as any other personal considerations. The maximum number of participants in her tours is 10 persons, thus enabling the visitors to experience an in-depth tour and a more intimate look at the culture. When there are several requests for the same day a shared tour can be arranged, but planned days/weeks ahead. Each guided tour is unique, adjusted to your interests and desires, as well as any other personal considerations. Tours can be adapted to meet your requirements, offering a range of themes, options, locations and duration, so as to satisfy the varying needs of every traveler whether you have studied history, archaeology and mythology or know nothing about it except that you want to learn more. Most of her tours are walking tours, however those that involve longer distances where a vehicle is required, transfer is not a problem! She collaborates with professional and excellent drivers who will cater to the visitors’ needs. 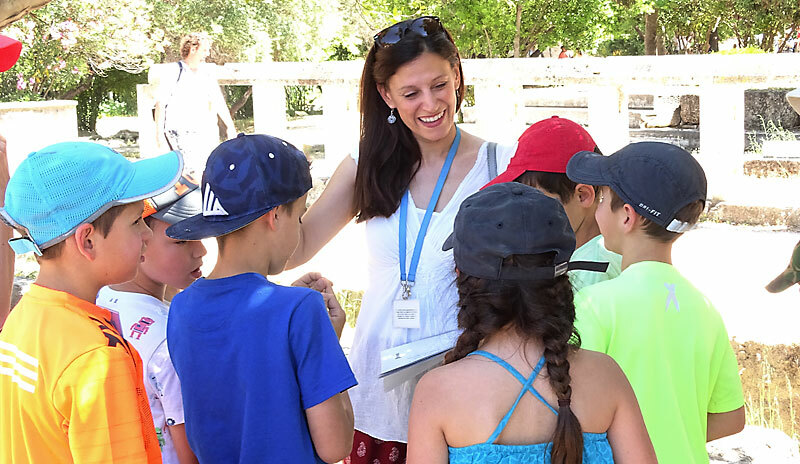 Nadia’s tours are mainly historical, yet personable and conducted in a friendly, pedagogical context. Please email your request some weeks/months prior to the day you wish for it, so as to find availability, as guides in Greece are really busy from early May through late September! "Nadia's tour was delightful. 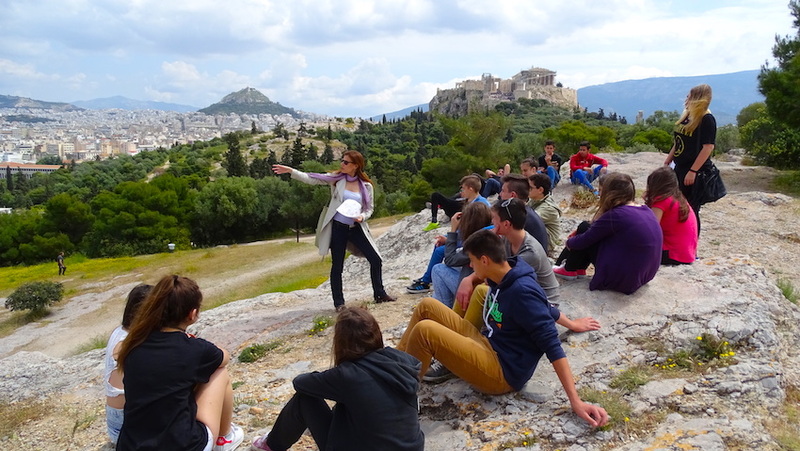 We chose to have her guide us through the Ancient Agora and museum ending with a tour of the Plaka neighborhood. It was a wonderful tour and Nadia is a fantastic guide. She really made the Agora come alive with a wonderful and detailed explanation of how Ancient Greek Democracy really worked. The tour of he Plaka neighborhood was exactly what we needed to feel oriented in Athens. We returned the very next day to explore further. Personable, knowledgeable, warm and professional, Nadia is the best!" Melissa Apel, Potomac, Maryland, U.S.A.
''Thank you for an amazing tour! My family will remember the tour of the Acropolis forever. You not only shared amazing stories, putting them in context, connecting your comments from one site to the other, but you made the visit so much easier. You knew where to stop, get water, find the shade, etc. Watching other tourists, I felt that we got so much more out of the tour: you were so organized and well prepared, I can't even imagine we could have considered visiting the site without you. I will also note that your comments were perfect for both kids and adults; I really appreciated how fun you were with the kids, while very patient with our little one...Thank you again for a very special experience!'' Cecile Chalifour, Los Angeles, California, U.S.A.